Laura DeLoye: Laura is a trained Board-Certified Music Therapist and, for the past 18 years, has worked in all levels of care with adults, teens and children with autism, developmental and/or intellectual delays, older adults with dementia, Veterans’ Administration Hospital and with professional and family caregivers. No matter where she has lived or worked, Laura engages with her community in understanding, enjoying and assisting others to find the music within themselves. She was born in Ohio, lived in North Carolina for 15 years, and is now enjoying getting to experience the Central Coast of California having moved here two and a half years ago. She sings, plays piano, flute, hand drums and percussion and guitar. Laura enjoys walking along the beach, hiking in the mountains, making crafts including glass mosaics and knitting scarves, and exploring new things in life. Rich Smucker: For the past 13 years, Rich has worked as a Board-Certified Music Therapist focusing on empowering individuals with special somatic, expressive and social needs. 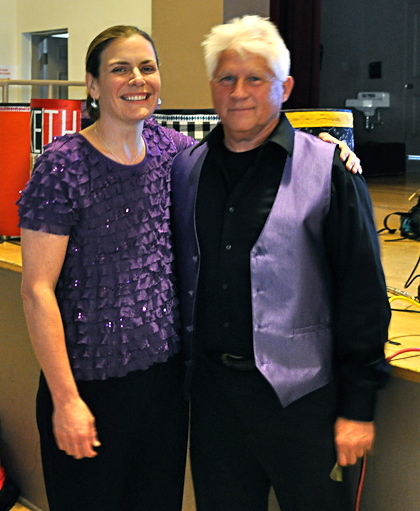 He also has extensive experience in voice and trumpet coaching, as well as having performed with and conducted a variety of ensembles including orchestra, wind bands and vocal groups. Rich is certified as a Heart Math Intervention specialist in practical applications of heart rate variability biofeedback for integration of emotions, attitudes and somatic memories in stress management and performance efficiency. Rich also has his Ph.D. in Microbiology having run a biogeochemistry lab teaching at the university level for 25 years prior to entering the field of Music Therapy. His hobbies include machining, jewelry making and especially working with mistletoe-black oak burl wood.